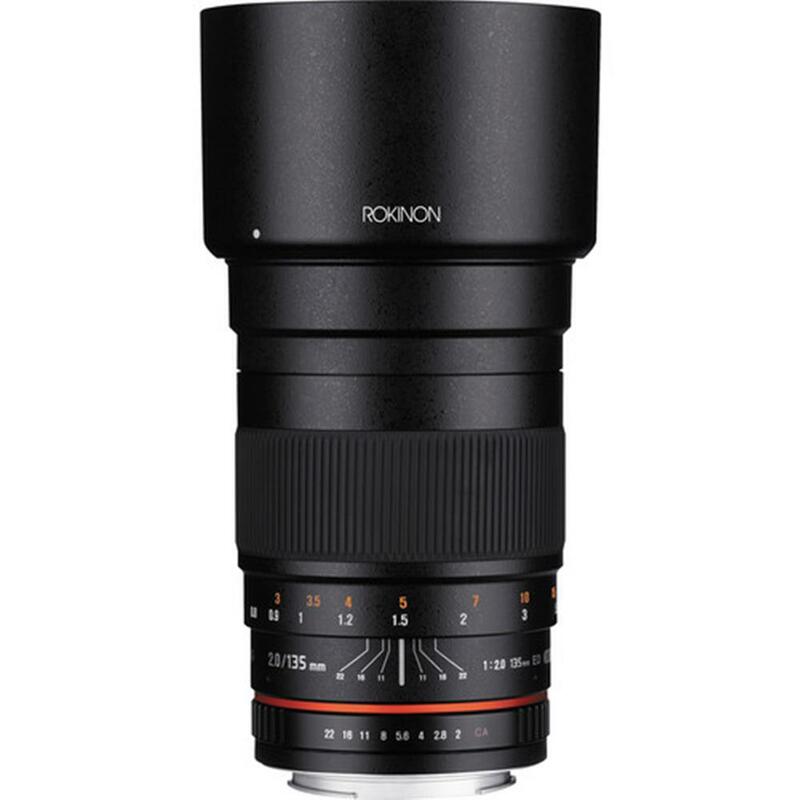 The 135mm f/2.0 ED UMC Lens from Rokinon is a manual focus telephoto prime lens useful for portraiture and most telephoto applications. Its fast f/2.0 maximum aperture is effective in low light and enables shallow depth of field control. With a rounded 9-blade diaphragm, shallow depth of field imaging will be rendered with pleasing out-of-focus highlights. 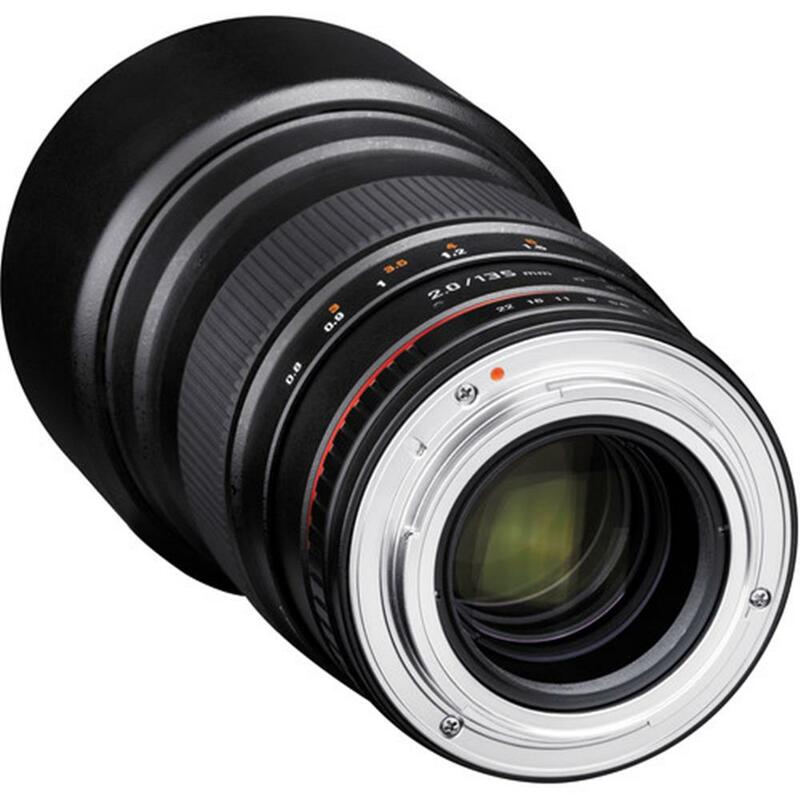 Compatible with both full frame and APS-C format mirrorless E mount cameras, this lens provides a 35mm focal length equivalence of 202.5mm when used on APS-C cameras. Its minimum focus distance is 2.6'. 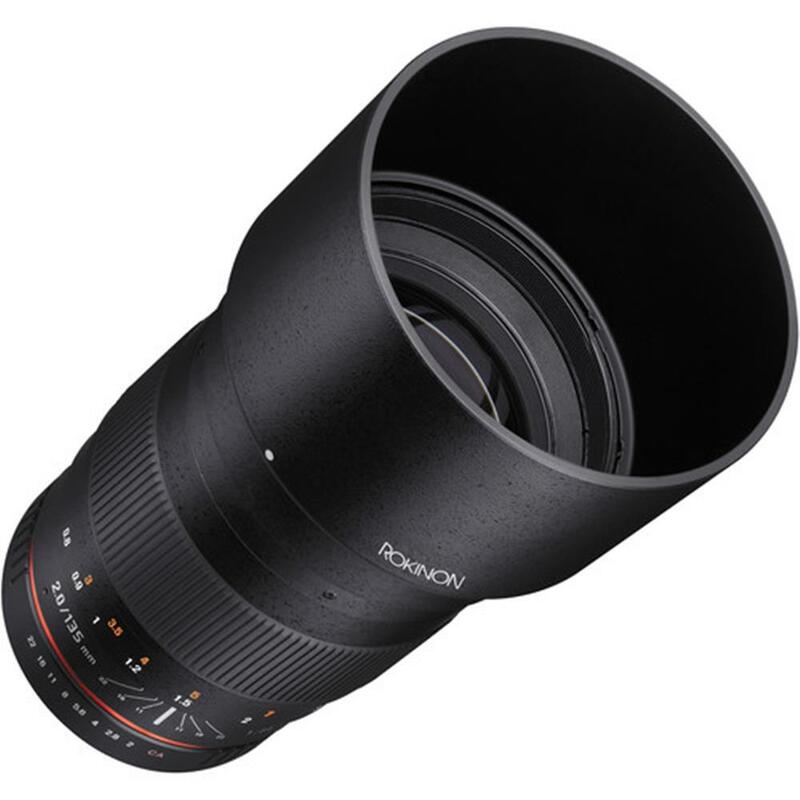 The optical design includes one extra-low dispersion lens element to control chromatic aberration, contributing to sharp, color-accurate imaging, and each of its lens elements features Ultra Multi-Coating to improve light transmission and reduce ghosting and flare. An internal focus system prevents the front end from rotating which allows more effective use of variable filters. 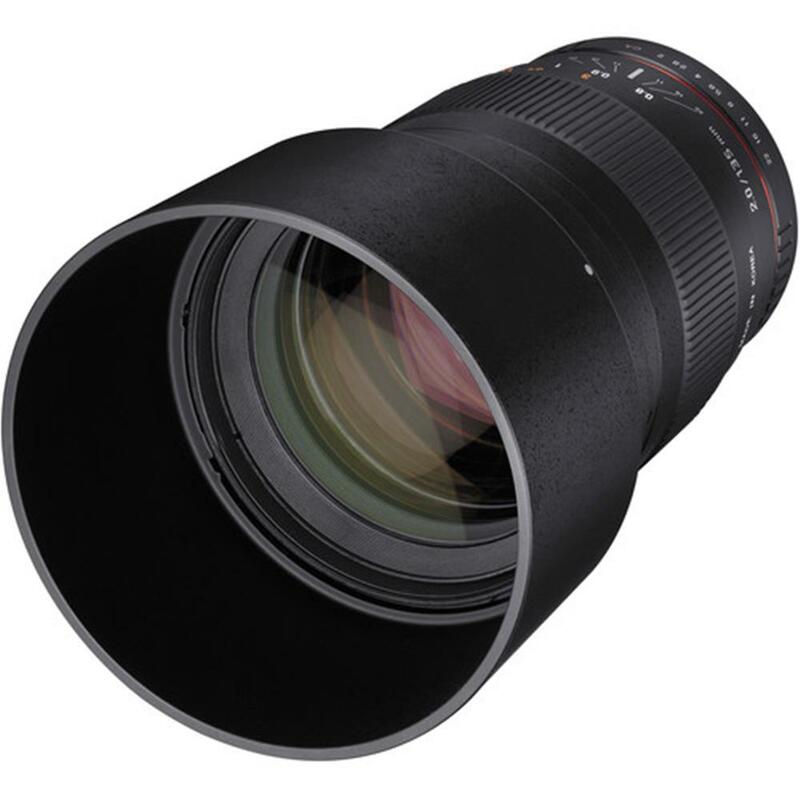 A durable metal barrel with a wide focus ring and manual aperture control ring offer tactile control over focus and exposure. An included, removable lens hood deters stray light from entering the lens, while protecting it from accidental impact and precipitation.